All visas are applied for at a VFS Global Visa Application Center. 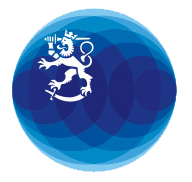 More information regarding visas, scheduling an appointment and the list of the required documents can be found on VFS Global’s website visa.finland.eu. A visa should be applied for well in advance before the trip. The earliest a person can submit the visa application is 3 months before the intended date of travel. The average visa application processing time is 15 days and 10 days for nationals of Visa Facilitation Agreement countries. In some individual cases, processing can take up to 60 days. The applications are processed in the order of arrival, and requests to expedite the processing do not speed up the handling of applications. The Consulates General in New York and Los Angeles accept visa applications to a limited extent.